Rainy days at the Cove are some of the best. The dark and stormy sea is breathtaking. It’s so quiet, you can hear the frogs croaking and the pitter patter of rain on the historic cottage rooftops. 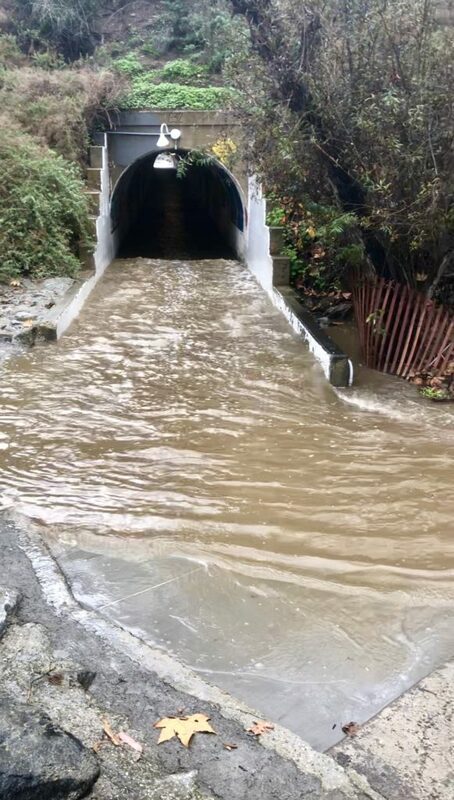 Although the tunnel under PCH is often closed in the rain, it reminds us how swift and strong even a small amount of precipitation can accumulate into a raging stream of powerful water. 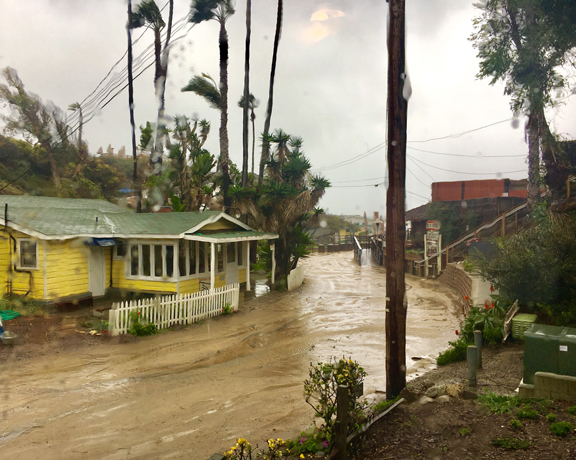 The water rushes down Los Trancos Creek spilling out into the stormy ocean. The only inhabitants on the beach are seagulls enjoying the solitude. The gentle rain washes clean our trees and shrubs and fences and decks. The Beachcomber Café is still open in the rain. The Beachcomber shuttle still runs in the rain (and, with the new covered shuttle stop in the Los Trancos Parking Lot, you stay dry while you wait). Our Park Interpretive Store is still open in the rain. The walking path along the blufftops also gives dramatic views beneath the dark clouds. California State Parks does close the backcountry portion of Crystal Cove at El Moro in order to preserve the trail system from becoming damaged and eroded by usage, as well as for visitor safety due to the slippery nature of the clay composition in the soil. In a nutshell, rainy days at the cove are swell. Don’t forget your rain boots and umbrella!